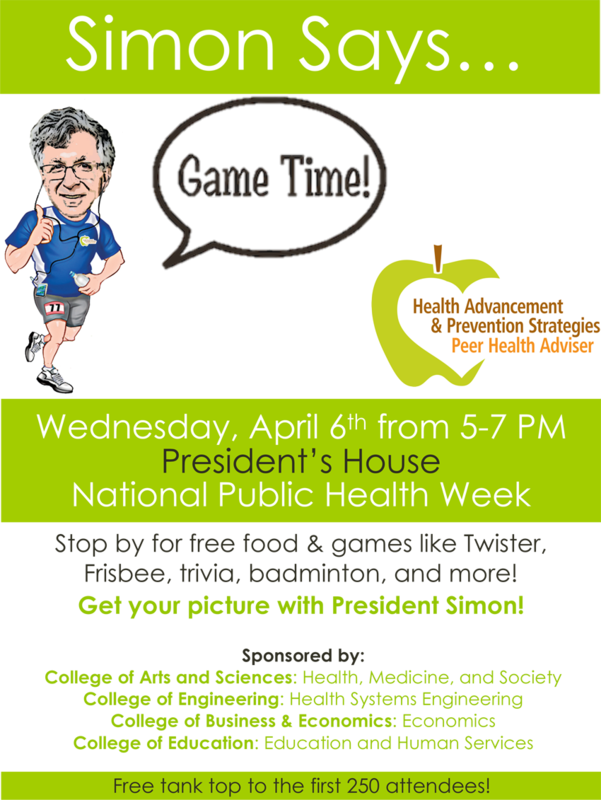 Wednesday, April 6th from 5-7 PM, Peer Health will be hosting Simon Says Game Time at the President's House during National Public Health Week. his event is co-sponsored by the College of Arts and Sciences: Health, Medicine, and Society, College of Engineering: Health Systems Engineering, College of Business & Economics: Economics, and the College of Education: Education and Human Services. If you have any questions, please feel free to reach out to Rachel Sholder, President of Peer Health Group, ros316@lehigh.edu.